Mature, or wish you had! If you’ve been a Christian for any length of time, you’ve probably run across the four responses in the Parable of the Sower. There have been many explanations and debates in the Christian community as to whom these four situations apply. And even though Jesus is speaking pre-Cross to people in Israel under the Law, not to people in the Church Age, there’s a lot for Spirit-indwelled Believers to consider and apply—especially in the area of Biblical maturity. 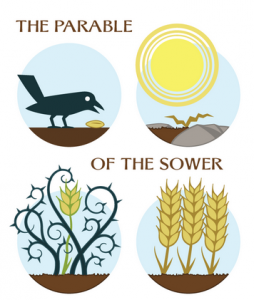 The Parable of the Sower is addressed in Matthew 13, Mark 4 and Luke 8. In those passages Jesus describes in easy-to-understand word graphics four things that can happen when someone shares the Gospel. 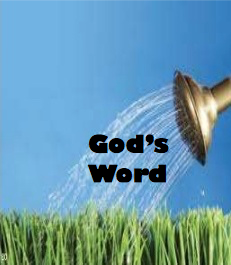 The parable begins with the seed (the Word of God) being sown (spread). We know this can apply to Believers today because Peter also refers to the same “seed” in reference to the Church Age. > Some seed does not bloom—is not saved. > Some seed blooms—is saved. When the Gospel is proclaimed to someone, one of two things happens: They either get saved or they don’t. Pretty simple. 1 – Keeping people lost. 2 – Robbing those saved of spiritual blessings. 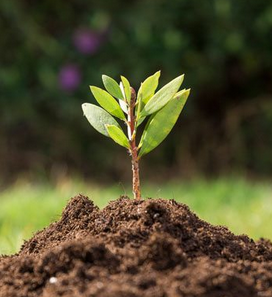 So for born-again Believers, there are three things that can happen, all having to do with how much the blooming seed grows, which is code for how much Believers mature in their spiritual walk. Never forget that when a person believes the Gospel, even for one second, the person is saved forever. 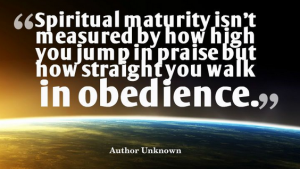 Paul warned the non-maturing Corinthian Believers about the critical importance of Biblical maturity. Paul continued to explain that even if they had zero maturity, they still were saved. Even if everything they did after they were saved was bad, they still went to heaven. So if the seed has any root whatsoever, it bloomed, therefore we’re dealing with a Believer. Most of us know people who truly trusted Jesus but over time it didn’t seem to dial in. Don’t give up on them—they didn’t lose their salvation and they did get saved! Keep praying for them and look for ways to help those who seem rudderless. Don’t miss the last part of the verse—except by the grace of God you could be in the same situation! In 1st Corinthians 5 Paul discusses a Believer who is so bad he decided it was best to allow Satan to destroy his flesh so his Spirit, that which is eternal, could go to heaven. Wow! That person was a Believer who exhibited zero signs of maturity and was acting as a non-Believer. But he was still saved. Know anyone like that? I do! The second thing that can happen after someone becomes a Believer is starting in the right direction, exhibiting growth and maturity, but eventually being tripped up by the Evil One and losing a Christ-centered focus. Rather than focusing on the next life, they begin focusing everything on this life. How many people do you know who seemed to be doing well in their Christian walk but were badly tripped up over time due to excessive worrying, over-emphasis on acquiring wealth or too much attention on the pleasures of this life? Believers who have petered out over time need extra care to be brought back into a balanced life-focus where God can use their Spiritual gifts to His glory. The key here is continuing to pray for them to get their eyes back on the Word, believing God will change their heart’s focus. The third thing that can happen when a Believer believes the Gospel is that he/she does, in fact, mature in his/her faith. Biblical maturity begins when a person understands the importance of studying and applying God’s written Word to every aspect of life. The new Believer desires to serve the Lord in all decisions and uses the Bible as a life-guide. This is not automatic as everyone is different and therefore some grow faster than others. Some may take years, trusting the Lord little bits at a time. Or God may use a life event to immediately get attention focused squarely on Him. But at whatever pace, maturing Believers begin to acquire and apply their knowledge and understanding of God’s principles to their decisions. They may fail at times, but they get up and continue. Over time they understand that there’s good and evil in the world and that the safest and most glorifying decisions are rooted in Scripture. Maturing Believers sink deep roots for spiritual nourishment so they don’t wilt under persecution. They welcome a steady stream of input from their pastor, solid believers and personal Bible studies to keep a properly balanced life-focus. A maturing Believer learns to totally trust that God is in control of all things, all the time, and that worry is sin. We ARE to be concerned for people and events, as Paul praised the people in Philippi for their concern for him (Phil 4:10). But the spiritual balance comes in the next verse (Phil. 4:11) when he says he has learned to be “content” in whatever circumstances he’s in, knowing God allowed them for His ultimate good. Therefore, to keep from becoming unfruitful in this life or to change an improper spiritual direction or emphasis, sink your spiritual roots deep. 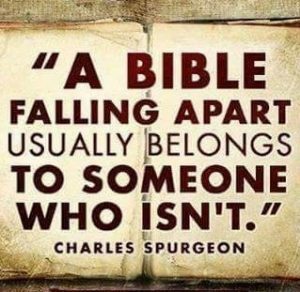 Make your Bible your guide in everything to receive the pure and proper nourishment from God. This Godly nourishment will guide you in establishing proper priorities. And WHEN you mature, you will begin to see more clearly in ALL areas of life! PTL! But don’t get cocky if you have experienced some measure of maturity because you’re only one nano-second away from moving from maturity to embarrassment.